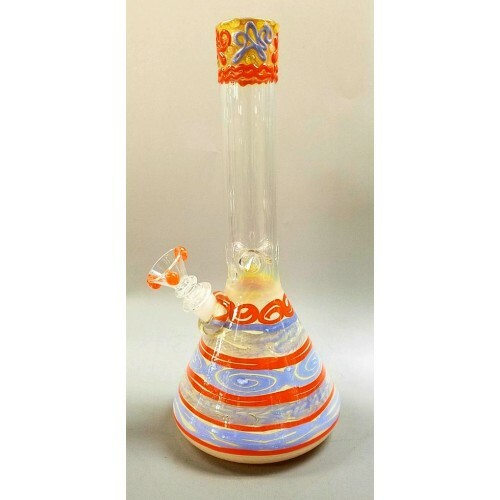 Home » HVY Coil Colored Beaker Water Pipe. 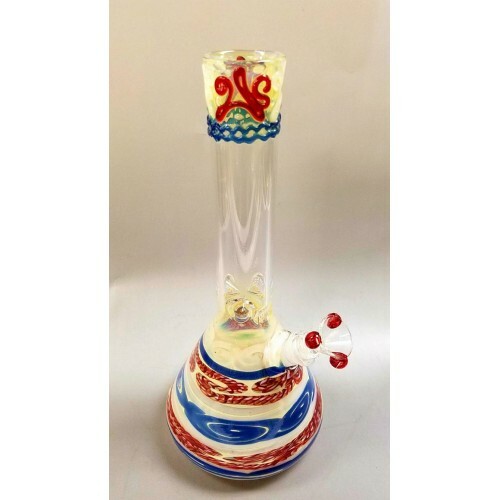 HVY is a pipe company that has something for everyone. 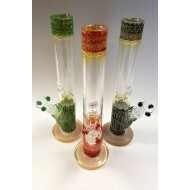 They have plain and fumed water pipes at great prices. 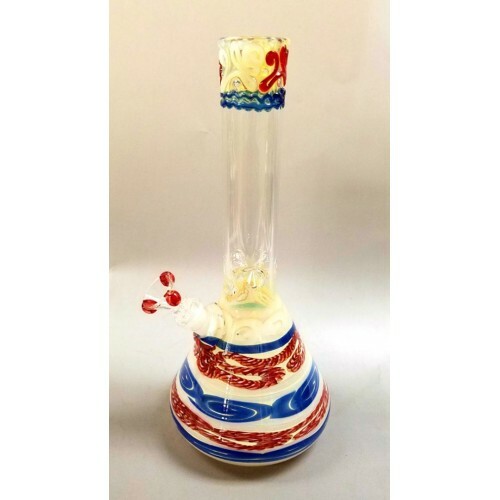 They have color worked pipes that even the most budgeted person can afford. There just great pipes! 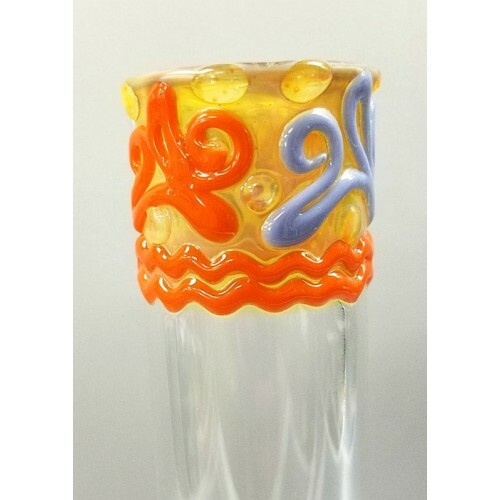 These pipes are coils of color all around the base and a 3D lip wrap that really stands out from other pipes. 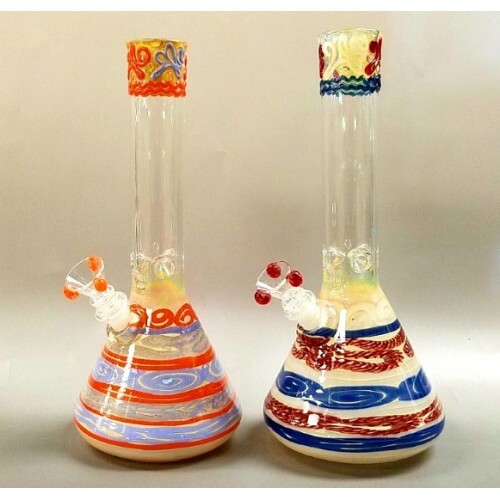 At 12" tall and 5.5" around these pipes are sturdy gems. 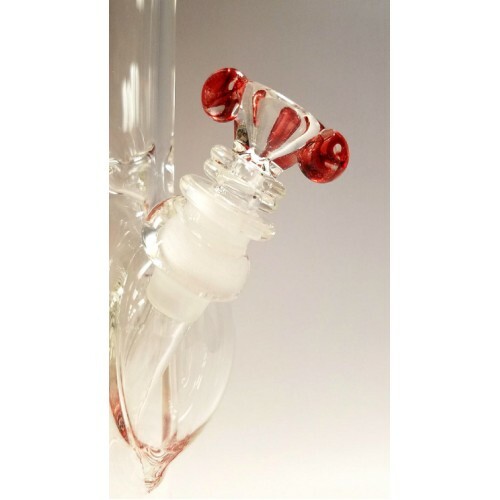 18/14" diffused downstem. 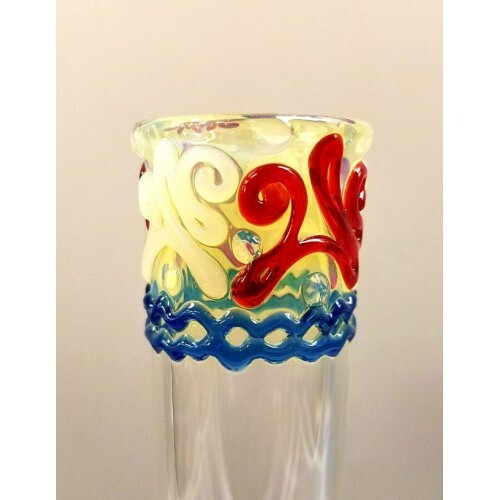 14mm martini style slide. 3 pinch ice catcher. Available in store or Call 410-327-3676 to order. Color option based on slide color. HVY Mini Tube. 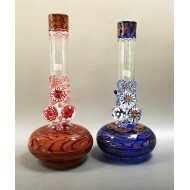 Available in Red or Blue with 3 marbles. 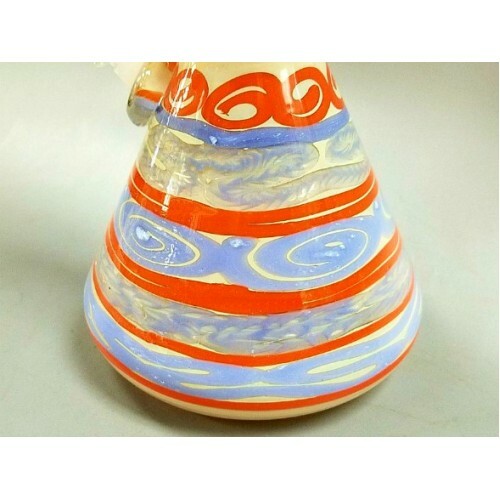 Marbles have flowers of red..
HVY Water Pipe with Detailed Marbles. 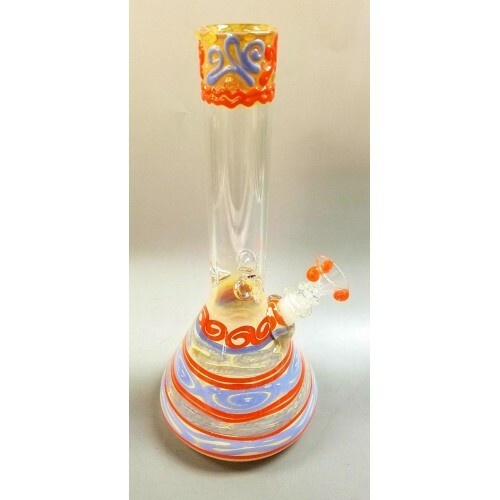 HVY Glass makes great pipes in all price points. 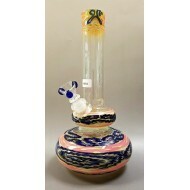 This double bubble water pipe has swirled blu..
HVY Double Bubble Water Pipe. 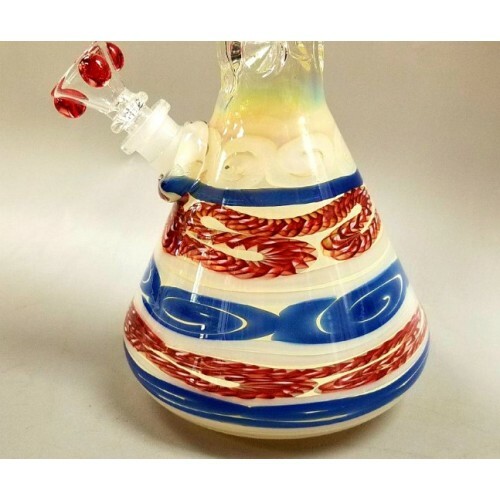 Hvy WRKD fumed bubble bottom. HVY pieces are amazing in quality and price points!&nb..